Modern contemporary Chinese restaurant Mitzo, located at Grand Park Orchard, leads a double life; in the morning it serves as a space for the hotel’s guests to have breakfast in, converts to a chic modern Cantonese fine dining restaurant for lunch and dinner, and then changes again into a nightspot for late night revelry after hours. Its multiple personalities aside, it’s also probably the only full-fledged Chinese restaurant to offer a comprehensive bar and cocktail program to accompany its excellent Cantonese eats. Mitzo’s ‘Cocktail Atelier’ mixology not only offers a selection of wines, craft beers and tonics, but also surprisingly throws up some of the more interesting drinks this part of Orchard Road. The cocktail menu comprises of three sections – ‘Updated Classics’, which features new twists to old classics ; ‘Asian Inspiration’, consisting of cocktails that incorporate Asian herbs and spices, as well as the use of some traditional Chinese medicine (TCM) ingredients, and ‘Mitzo Creations’, a totally eclectic and palate-challenging cocktail selection born from sheer imagination. 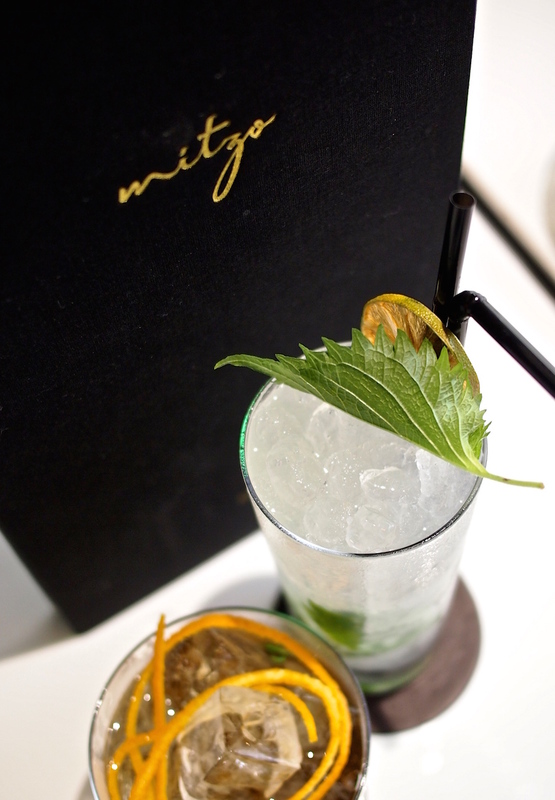 How about a refreshing Shiso Mojito ($22++), which sees fresh shiso leaves churned with Snow Leopard vodka and sake, fresh kabosu juice and sugar, to start a meal? Otherwise the eye-catchingly beautiful Smokey Elixir ($22++), which uses Nikka from the Barrel whisky that’s been infused with dried honeysuckle flower – a TCM favourite – shaken with orange and chocolate liqueur, fresh lemon juice, and sweetened with homemade goji berry syrup. Mitzo says that Chinese physicians use honeysuckle for clearing heat and relieving toxicity, but you should imbibe this purely it tastes pretty damned awesome. We’re particularly impressed by the Mitzo Tea Rhapsody ($60++, main picture), a hot cocktail served in a teapot that serves four, which sees traditional Pu’er tea infused with ginseng and ginger, blended with dark rum and served with berries. The fruity, herbal and lightly sweet concoction is meant to be a digestif, and can be an alcohol replacement for the Chinese tea traditionally served to end a meal. But perhaps the most impressive cocktail of all was the unassuming Charlie’s Flip ($22++, above) – named after Charlie from Charlie and the Chocolate Factory – that puts together Pierre Ferrand Brandy and Patron XO Cafe shaken with espresso, sugar, cream and egg for a rich mocha flavoured dessert cocktail tasting wholly like liquefied tiramisu. And if you’re feeling peckish, remember that Mitzo is still a Chinese restaurant under all that bright, shiny trappings. Indeed Mitzo’s kitchen – helmed by celebrated Chef Nicky Ng, who was once deputy executive chef at the now defunct Club Chinois, as well as executive Chef de Cuisine in 2011 at the Michelin-starred dining establishment Hakkasan in New York City – throws up some of the better classic Cantonese roast meats on our island. The delicious Mitzo Special Barbequed Pork ($18++) and Crispy Roast Pork Belly ($18++) are perfectly good nibbles to sate any hunger pangs brought on by the onslaught of alcohol. Even better, the kitchen is open till late (12 midnight on Sunday to Thursday, and 1am on Friday, Saturday, eve of public holidays and on public holidays). 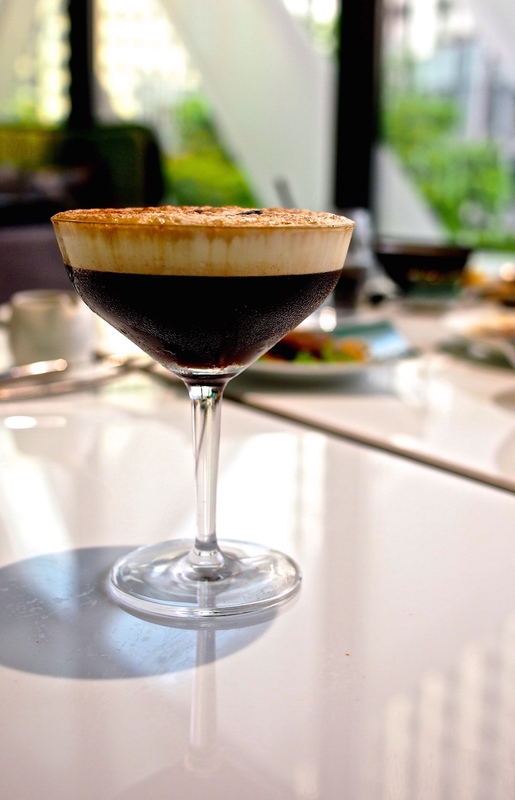 You can find Mitzo at Level 4 Grand Park Orchard, 270 Orchard Road.